When it comes to building long-term wealth, investing is vital. Unfortunately, too many Canadians don’t realize how important investing is. On top of that, many Canadians feel like they can’t start investing properly unless they have a lot of money or a lot of knowledge (or both). The good news is that it’s possible to invest even if you’re a novice — and you don’t have a large amount of capital. Research over the last few decades indicates that long-term success with investing isn’t about picking the right stock or timing the market. Instead, it’s more about portfolio allocation. When you focus on the asset allocation appropriate for your goals and risk tolerance, and you are consistent in your efforts to invest over time, you are more likely to find success down the road. Your portfolio allocation consists of the percentage of your portfolio held in different assets. Investments are divided into asset classes like stocks, bonds, real estate, commodities, and more. In many cases, a successful portfolio asset allocation can be achieved by creating the right ratio of stocks and bonds. 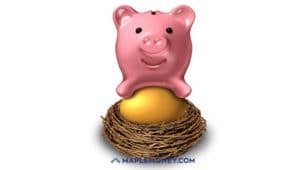 The way you allocate your assets in your portfolio depends on your current financial situation, how long you have until retirement, and other factors. In general, when you are younger, it makes more sense to have a more aggressive allocation. A portfolio that has more stocks in it will likely grow at a faster rate, maximizing the amount of money you put in. Stocks are considered riskier, but when you start investing young, you have more time to overcome any market events and mistakes. As you get close to retirement, though, it can make sense to shift your allocation so that you have more bonds than stocks. Bonds are generally considered safer. Your portfolio is less likely to be impacted by stock market drops when more of it is in bonds. If you aren’t sure which portfolio allocation is right for you BlackRock Canada has a great resource for this in their iShares Core Portfolio Builder, to get an idea of the types of choices available to you based on your preferred risk level, and figure out what might work best for you in your situation. Because stock picking is often ineffective or too risky for most people, it can make sense to limit some of your risk by choosing exchange-traded funds (ETFs). ETFs are collections of investments that trade like stocks. They are similar to mutual funds in that they give you exposure to multiple assets in one fund. However, they are convenient and easy to trade. In fact, they can be traded on an exchange like a stock. Plus, because ETFs disclose their holdings daily, it’s easy to see exactly what’s involved. It’s a good way to make sure you don’t have too much overlap. On top of that, ETFs are inexpensive. They don’t cost very much, allowing you to see more efficient real returns. ETFs offer easy diversification, and they make it easier for you to manage your portfolio allocation. If you choose an ETF that invests in the total Canadian market, you have exposure to all the stocks publicly traded in Canada. You don’t have to pick the right stock. You can ride the long-term success of the market. Indeed, the market has never lost value over any 25-year period. There might be set backs every now and then, but historically, the market as a whole has recovered and come out ahead. You can get bond ETFs as well as stock ETFs. With the right portfolio makeup, you can balance your need for growth with some safety. A good example of this is BlackRock’s iShares ETFs. You have access to more than 110 funds that offer access to Canadian, U.S., and international stocks and bonds. With a few ETFs, you can have an adequately diversified portfolio that will grow over time and help you meet your goals. A good place to start for entry-level investors is with iShares Core ETFs – you can put together a solid portfolio, built on 17 years of ETF innovation from BlackRock. While portfolio allocation is important when it comes to building your portfolio for long-term success, you also need to consider the importance of consistent contributions. This is especially important when you are just starting out. 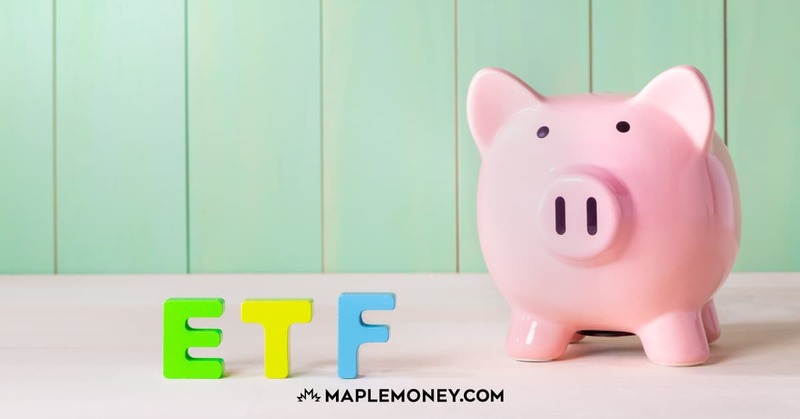 ETFs allow you to use dollar-cost averaging in a way that helps you take a set amount of money each month and buy shares. You build up over time. However, you need to contribute each month. Set up an automatic plan that takes the same amount of money from your chequing account each month and uses it to buy shares of ETFs in the proportions that make sense for your mix. As compound interest works in your favour, you can watch your nest egg grow. Even if you don’t have a lot of money to contribute right now, get started. It’s true that $100 a month might not be enough to retire on. However, it will get you in the habit of investing. Work toward boosting the amount you contribute each month. Every time you get a raise, or when you have paid off debt, increase what you set aside. Over time, it will all add up and you will be likely to reach your goal of financial freedom in retirement. Investing isn’t as hard as it used to be. Gone are the days when you needed a large chunk of capital and to call an expensive broker to help you. Instead, thanks to technology and new tools, it’s possible for you to access inexpensive investments aimed at helping you build wealth over time. 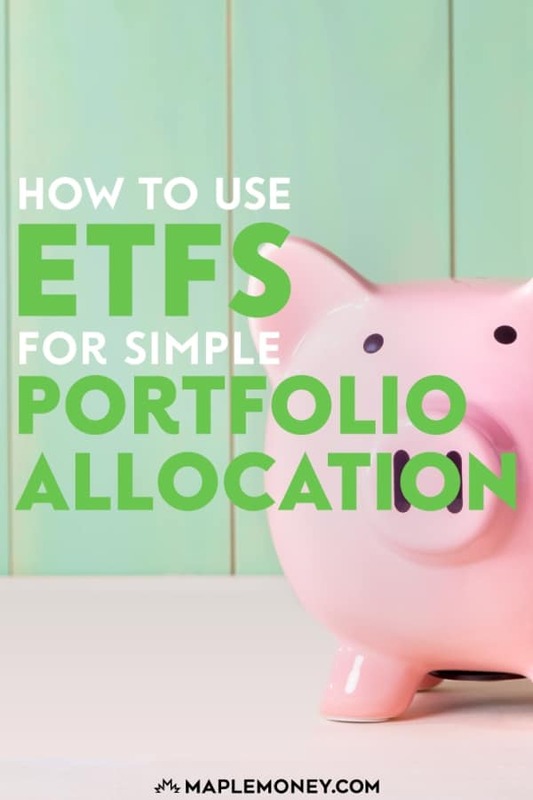 Take a few minutes to evaluate your portfolio allocation needs, and then identify broad-based ETFs that are most likely to help you reach your goals. Once you do that, set up an automatic investment plan to help you consistently invest for financial freedom down the road. When you have a plan in place, based on the time-tested principles of portfolio asset allocation, you are more likely to find success. Simply review your portfolio allocation periodically (every year or quarter), rebalance where needed, and your future self will thank you. Great article for beginners and experienced alike. Enjoyed the read. It was helpful to me. This sounds too much like an ad for Black Rock. The first line did state that BlackRock partnered with me on this post, but I think only three paragraphs even mention them. I personally own iShares ETFs in my Questrade accounts, plus they’re in many of the robo-advisor portfolios I recommend. But even if someone wants to buy a competing ETF, I believe this article is very helpful in getting beginners on their way.